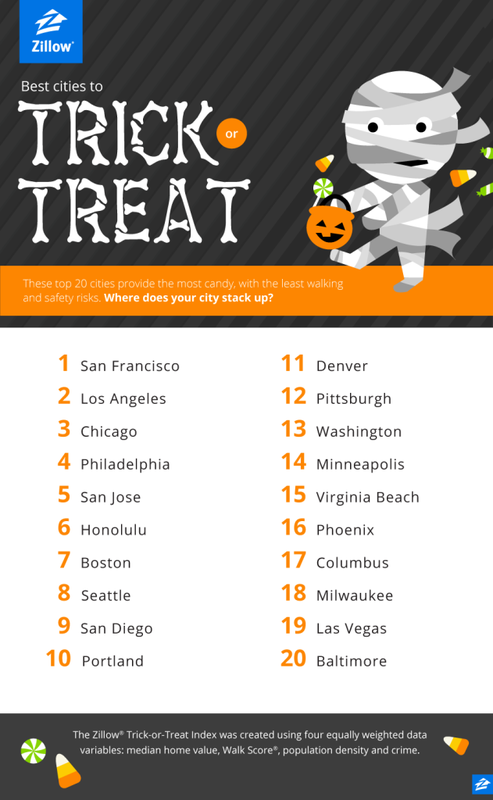 If you're heading out with kids this Friday, here's Zillow's annual ranking of the best cities to fill your bags with treats. Nice to see LA and San Diego moving up in the ranks! Check out this post for more detail about the neighborhoods to hit in each city (here in San Diego it's Del Mar Heights, Torrey Pines, Kensington, Loma Portal and Mission Hills). Halloween is one of the most dangerous evenings of the year for pedestrians, so even though Zillow weights WalkScore evenly with other factors in developing its rankings, you might want to prioritize pedestrian safety when you choose your route. Take care out there!